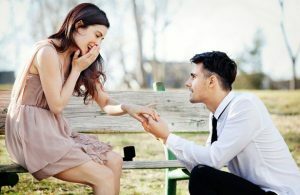 If you are expecting your girlfriend to look ravishing and splendid, it is only equally fair that she expects the same from you and an attractive and clean personality is one of the foremost things that is adored by your girlfriend about you, because it makes you presentable and her proud to be linked to you. Looking attractive is an important thing every girl adores in her boyfriend. Respecting a woman is one of the few things that all women want in their man. She wants a guy who would respect her views and opinions and is not shy or ashamed of showing her off to his friends. 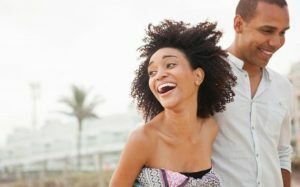 It is one of these qualities that makes women love and adore men all the more. A girlfriend adores a boyfriend who has the patience to listen to her and about how her day had been or what is bothering her. Listening to your girl would also allow you to know her better and that ensures that the love between you guys is more genuine and strong. If your girlfriend has gotten a new hairstyle or lost a few pounds always make sure to notice these small details and appreciate them. It makes your girlfriend feel wanted and special and is all the more reason for you to be adored. Girls simply adore a guy who can make them laugh and have a good sense of humor. It is easily the most adorable thing any girlfriend would find in their boyfriend if they happen to have it, a good sense of humor capable of making her laugh even when she is cross. A girl always admires a man who has ambitions and goals and does not hesitate in putting in hard work so as to attain those objectives or goals and is also conscious and constantly thinking about the future and the plans he has set for himself. A girl needs to be made to feel special constantly, and it is very appealing to a girl if her boyfriend is in the constant habit of professing his love and making it be known. A romantic boyfriend resembles the prince charming that every young girl has grown up dreaming of having one day. A guy who thinks deeply about things and is sensitive to other people’s feelings and often than not goes out of his way to help others is a guy who is more likely to win a girl’s heart as this is one quality all girlfriends adore and feel proud about in their boyfriends. The power of feeling empathy is an admirable quality indeed. The key to winning the heart of a young girl and be adored by her forever lies in the subtleties of these qualities and any guy owning them is sure to be forever loved by their girlfriends who would be proud and happy to have such a brilliant boyfriend in their lives.